I am LOVING this cooler weather and the smell of burning fire places! Yesterday evening was so nice, my parents, sis and I decided we would go out to dinner. The hubby was meeting a friend of his so he wasn't able to come and was missed but we had such a nice dinner. It was nice to get the family together for relaxing conversation and great food. Afterwards we walked over to a local Tuesday Morning and to my surprise on the crafting isle there in a cubbie space was Louisa Harding yarn!! SCORE!!! Now, I totally did NOT need another scrap of yarn...but let's face it when the skeins are $3.99 where normally they are $8.00 who can resist!! 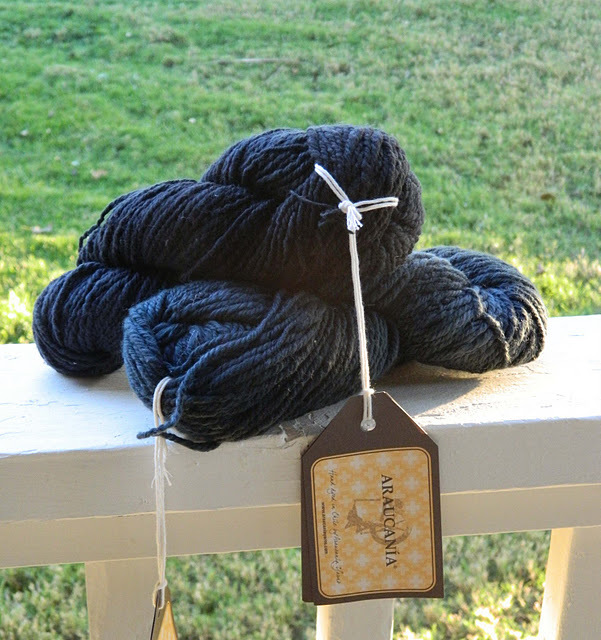 Not only did they have Louisa Harding but they also had Araucania for $6.00 which is half the price it usually is. I was a goner...I scooped up every piece and marched straight to the register but not before grabbing a nearby quilting pattern for $2.99. I love me some Tuesday Morning! I plan on stopping by all 4 in my area! LOL :) Maybe there are yet to be found woolies that are in need of a good home! Enjoy the weather and happy knitting! !